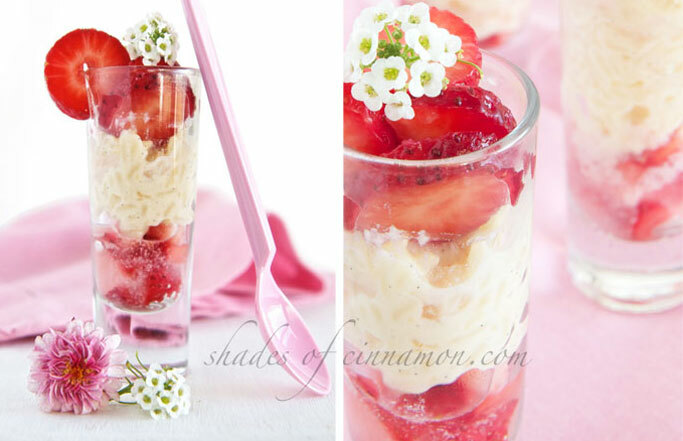 If you are feeling adventurous get yourself a bottle of delicious aromatic Rosewater – it gives beautiful subtle flavours to cocktails, iced teas, delicate desserts, like panna cotta and my all time favourite Strawberry and Rose Rice Pudding. In this recipe the flavours of the strawberries are enhanced with the delicate sweet taste of rose water. Made by distilling rose petals, rose water has an ancient culinary history. It originated from the Persians and spread across the medieval Islamic world. It’s a key ingredient in Turkish Delight , Marzipan, and the popular South Asian dessert Gulab Jamun. 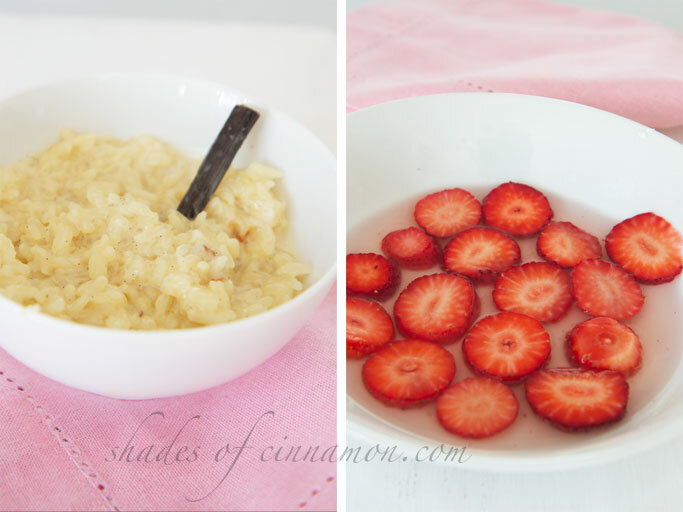 I made a smooth vanilla rice pudding, soaked the sliced strawberries in a few drops of rosewater and icing sugar, and allowed the natural juices of the strawberries to be released. 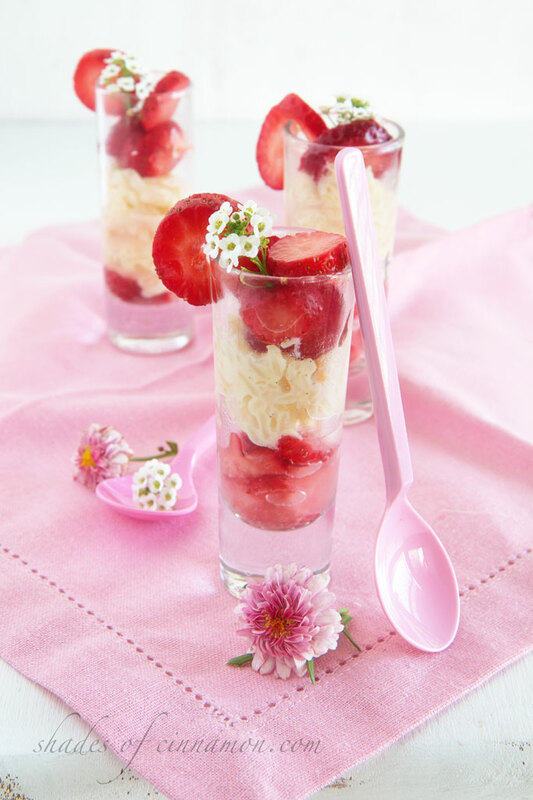 I then layered strawberries with a little juice, then cooled rice pudding and one or two strawberries on top in long shot glasses. I find this just enough after a heavy meal. If you prefer a larger serving, use wine glasses, or small mason jars. Beware a heavy hand can make the flavour of rosewater overpowering, so taste it before steeping the strawberries. I have found that some brands of Rosewater are stronger than other. Large bottles may appear cheaper, but these are more often than not already substantially diluted. The small bottles are normally more concentrated, hence more expensive. 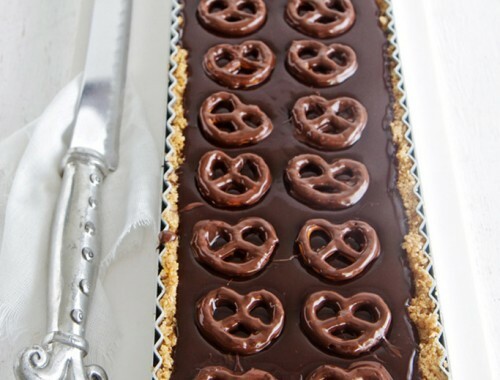 This dessert is fantastic for cocktail parties, as it looks great and fills the sugar craving gap after savoury snacks, and best of all you can make it in advance. 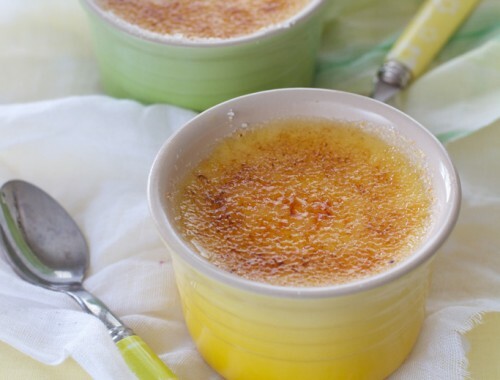 Serve at room temperature as subtle desserts like this lose all their flavour if served too cold. If you are into Rice Puddings, try my Lemon Rice Pudding with poached pears here. Slice the strawberries and add to bowl of rosewater and icing sugar. Leave these to soak white you are making the rice pudding. Add rice, vanilla essence, milk , sugar and cream in a heavy based pot. Bring to just under the boil and simmer gently for 20 minutes, stirring constantly until the rice is tender and has absorbed most of the liquid. The mixture should be fairly soft and wet in texture as it thickens when cooled. Add more milk or cream if it becomes too thick. 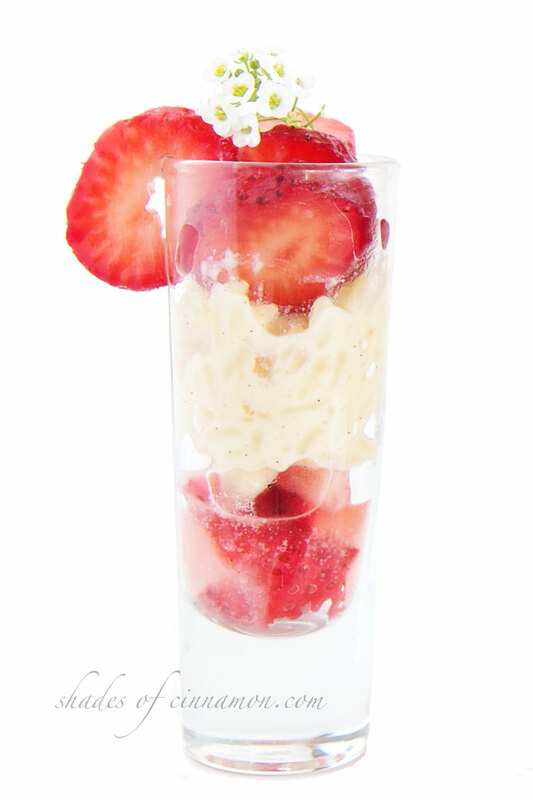 To serve put a few strawberries in a glass with some juice and then add some rice pudding. 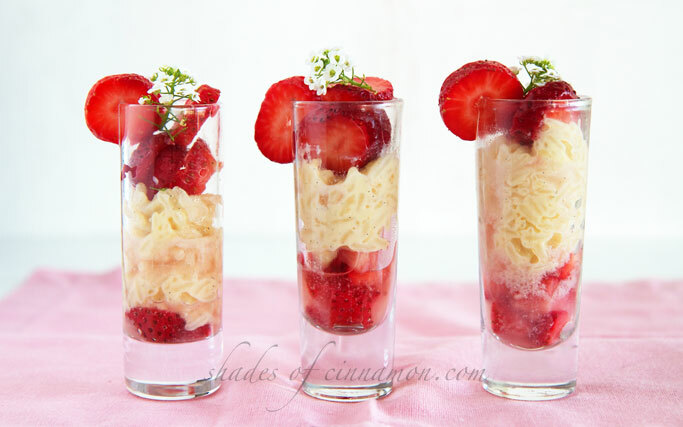 Add more strawberries to the top. This can be served warm, at room temperature or cold. 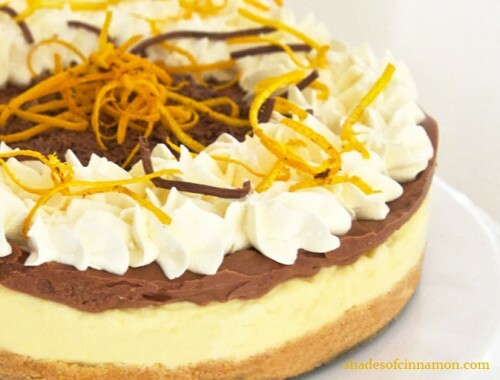 Thank you for visiting my blog, yes it is such a delicious delicate taste.